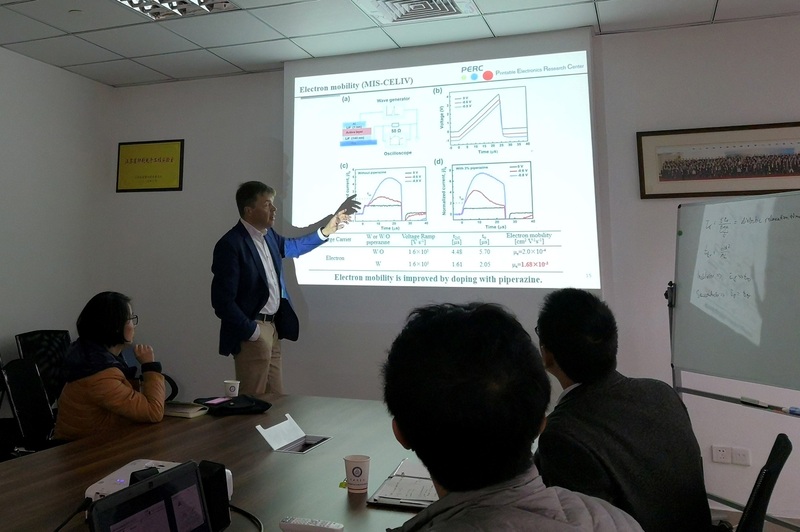 On March 27th-28th, 2019, Prof. Ronald Österbacka from ?bo Akademi University visited Vacuum Interconnected Nano-X Research Facility, Printable Electronics Research Center (PERC), International Laboratory for Adaptive Bio-nanotechnology (i-LAB), and Infinity Innovation at Suzhou Institute of Nanotech and Nanobioncs (SINANO). 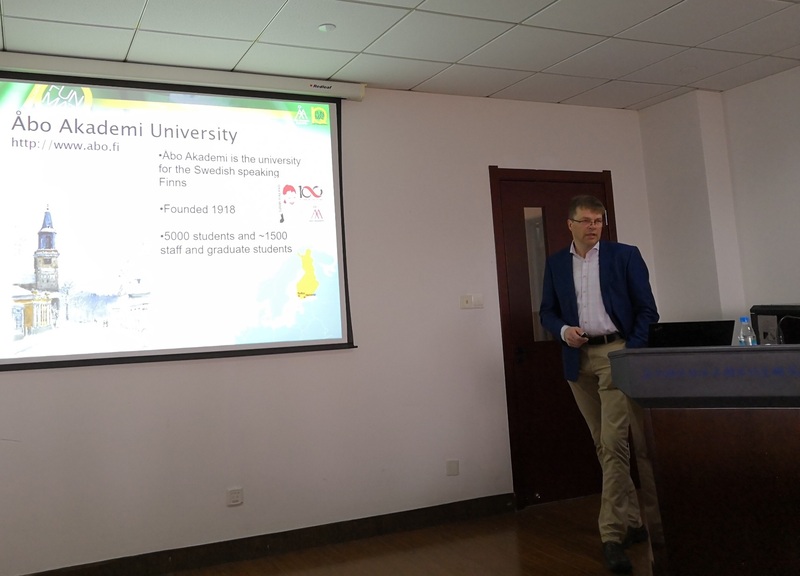 Prof. Österbacka also gave an exciting scientific report with the title of "New regimes for in-device characterization of thin-film solar cells using extraction current transients " on the morning of March 28th. In this talk, he introduced the extraction current transients (CELIV), which is very useful in studying dark, injected and photo-generated carrier dynamics. The extended CELIV method for correct in MIM-devices, doped semiconductors, and MIS-devices were necessary and very important. The method has been used to clarify built-in voltages and mobilities in operating solar cells, doping carrier profiles in diodes, surface recombination velocity in thin-film solar cells. After the seminar talk, Prof. Österbacka introduced the details in the building and measurement of CELIV system in Printed Photovoltaics Research Group, PERC. Opportunities for cooperative research in device physics were also discussed. Professor Ronald Österbacka received his PhD in Physics in 1999 from Åbo Akademi. His research interests are electro-optical properties of disordered organic semiconductors and novel devices for paper electronics, and have published more than 190 articles and book chapters since 1996. Ronald Österbacka is the editor-in-chief for the IoP journal Flexible and Printed Electronics, and the director of the Center for Functional Materials since 2011 and an elect member of the Swedish Academy of Engineering Sciences in Finland and Finnish Society for the Science and Letters. He has been active in arranging numerous conferences, most notably he was the chairman for the main conference on Synthetic Metals, ICSM2014 (www.icsm2014.fi) held in Turku June 30th to July 5th, 2014 gathering 600 scientists from all over the world.